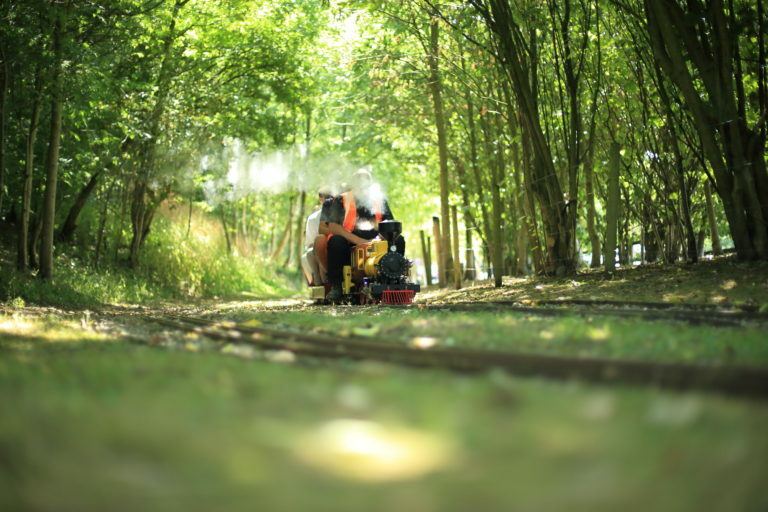 We are a group of enthusiastic model engineers who operate a fantastic little railway running round the picnic site at Cinderbarrow, Tarn Lane, near Yealand Redmayne, Lancashire. 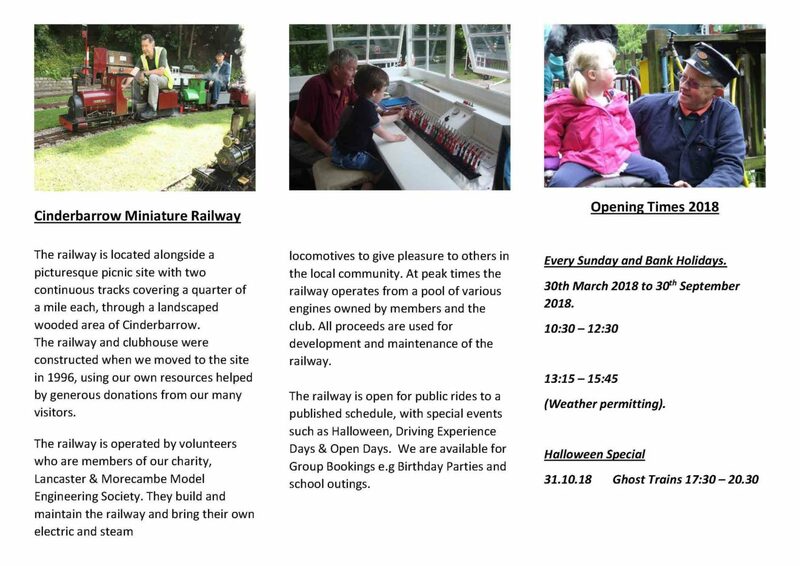 The railway is open to the public for rides on Sundays and bank holidays throughout the summer, as well as a special event on Halloween (more details below). Our members range from young to old and while many are highly experienced professional engineers, some are new to the hobby and learning their skills from the more experienced members, while others just enjoy operating the railway and giving pleasure to the many children and members of the public who visit us. The picnic site at Cinderbarrow is in an attractive setting surrounded by woodland, with lots of open space for picnicing. Come and join us and enjoy the thrill of riding on a real steam or diesel train and stay for a picnic or a burger from the donut van which is often on site on Sundays (phone ahead to be sure). We are a charity and we don’t charge for rides, but we depend on donations from the public to keep the railway running. 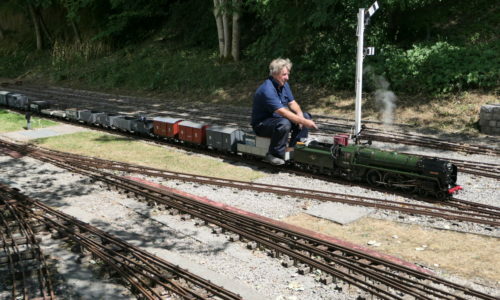 Most of the engines that we run at Cinderbarrow are owned by individual members who bring them along to haul our miniature trains. The Society also has a powerful diesel model, “Tregoss”, which we regularly use at the site. Members from other Model Societies are welcome to bring along their engines. (See also Events). Every Sunday and bank holiday from the beginning of April to the end of September. A headless man looking for his boiler!